Example #2 is of a masonry problem on a building. The building was several years old when pictures were taken. 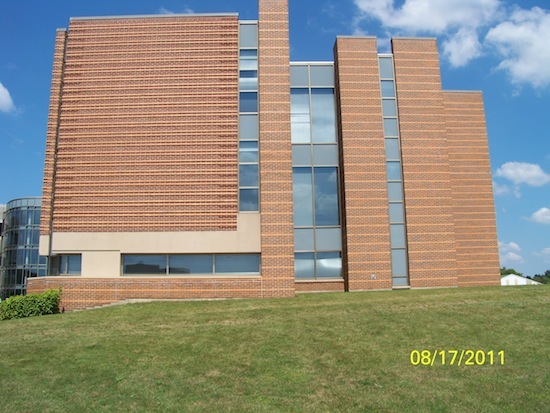 All photos are on the west elevation. This is a mild appearance problem and also a concern for future durability. Brick is spalling at specific locations. It appears to be localized. 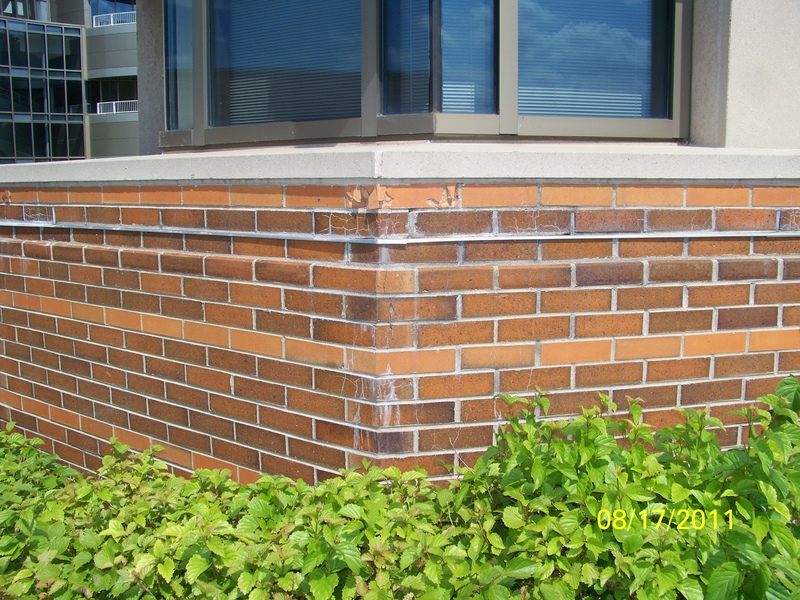 We also see efflorescence in the same areas as the spalling. Without knowing both the planned and as-built details of the internal construction of the wall (anchorage to backup, attachment method of stills, etc.) it is difficult to be confident of causes. We do see two apparent problems — water penetration as evidenced by the efflorescence and stresses (apparently axial) on the brick as evidenced by the spalling and cracking. A manufacturing problem with the brick is very unlikely; such problems are very rare with brick and because the problems are very localized. One location is at a corner where forces in a wall accumulate. There is no control joint near the corner. The efflorescence may be showing at damaged areas preferentially as the cracks are a path for moisture to escape, and that "traffic" leaves the efflorescence as a result. 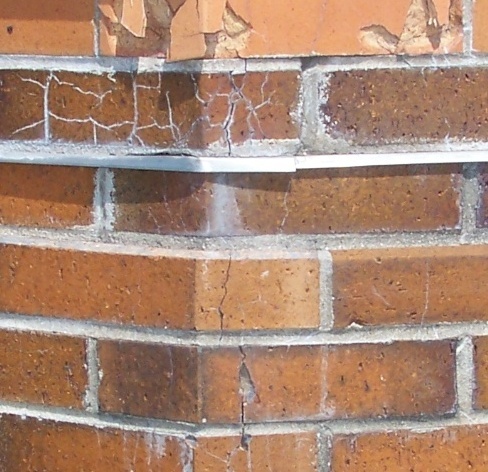 The lack of efflorescence or mortar deterioration in the cast stone sill or the sill bed joint points away from significant water infiltration. I expect that the majority of the problem areas have shown themselves. I would expect to see a few new ones in the next year or two, and a declining number of new appearances in following years. This is not likely to lead to a reduced service life of the building or the wall.. 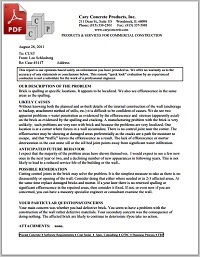 Cutting control joints in the brick may solve the problem. It is the simplest measure to take as there is no disassembly or opening of the wall. Consider doing that either where needed or in 2-3 affected areas. At the same time replace damaged bricks and mortar. If a year later there is no renewed spalling or significant efflorescence in the repaired areas, then consider it fixed. 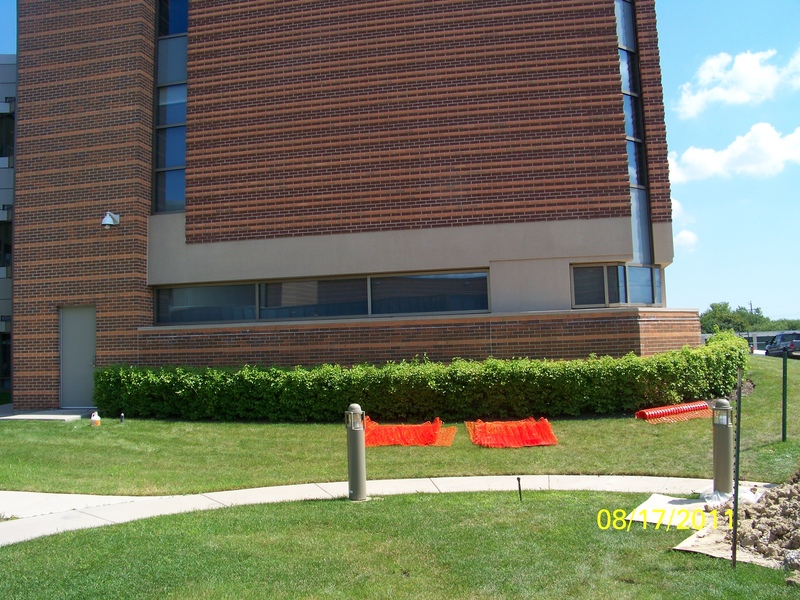 If not, or even now if you are concerned, you can have a masonry specialist engineer or consultant examine the wall. Your main concern was whether you had defective brick. You seem to have a problem with the construction of the wall rather defective materials. Your secondary concern was the consequence of doing nothing. 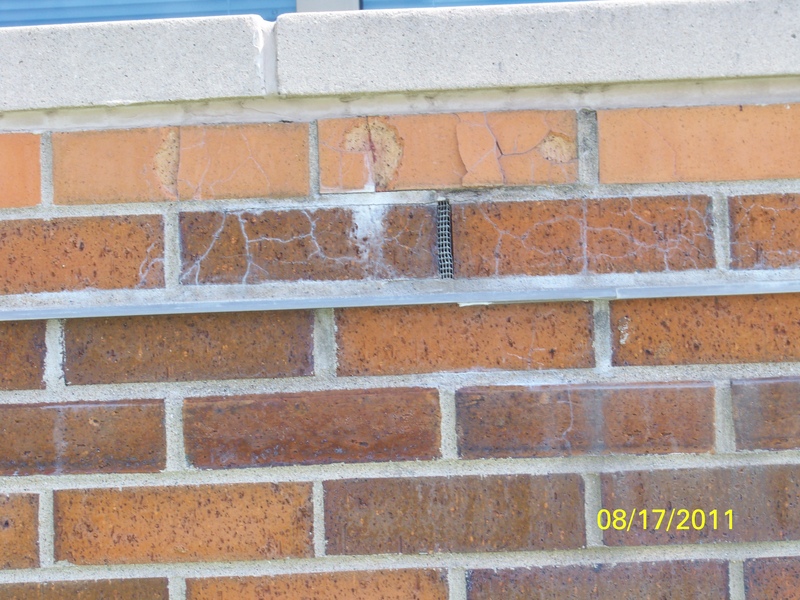 The affected brick are likely to continue to deteriorate ifyou take no action.